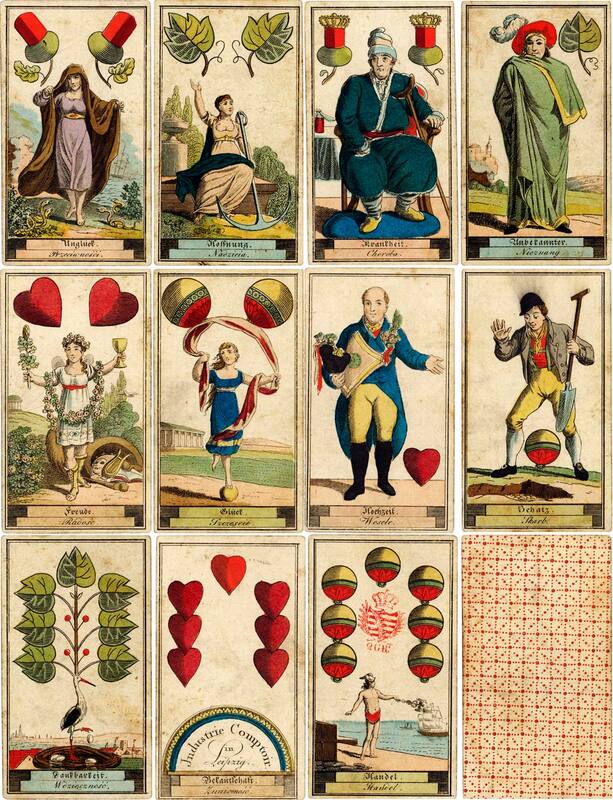 German-suited Fortune Telling deck by Industrie Comptoir, Leipzig (Germany) c.1818, 36 cards. Inscriptions in German and Polish. These are an interesting alternative to the more common Madame Lenormand or Book of Fate cartomancy cards, with a different repertoire of images. They differ from the typical French ones, of course, in that there are no miniature playing cards inside the design, but instead the German suit symbols.